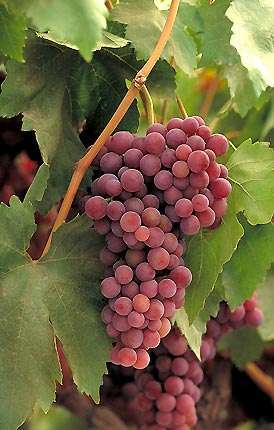 A good new addition to the limited range of seedless Grapes suitable for our climate. Rounded bunches of bright red/purple fruits, refreshing, juicy flavour which is ideal for dessert but can also be made into wine. The fruits ripen in early October on a productive vine that suits a west or south wall or a sunny pergola. Also produces good Autumn leaf shades during most years. Like all 'seedless' varieties, can sometimes produce seeded fruits if the vine has been stressed.